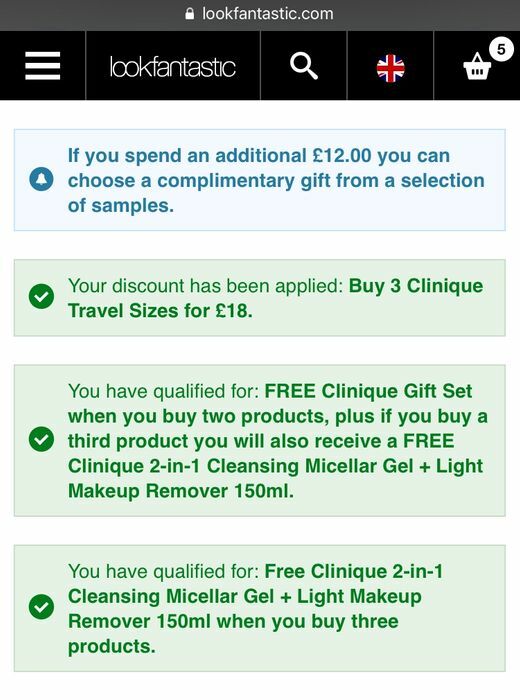 Offer stack on Clinique at Lookfantastic. Buy 2 items and get a free gift worth £40:95. Buy 3 items (all to be travel size) and get the free gift worth £40:95 AND £3 off and also two free gifts totalling £17. If you don’t mind splashing out, this is a good way of getting loads of extra products, as the free £40:95 gift contains a few items. What do you think of this lookfantastic deal? Fab offer. Thanks for posting. The complimentary gift is no longer available due to high demand. Great offer though!! Which gift? I’ve just been on the website, and the free gift after the purchase of two items is still available.